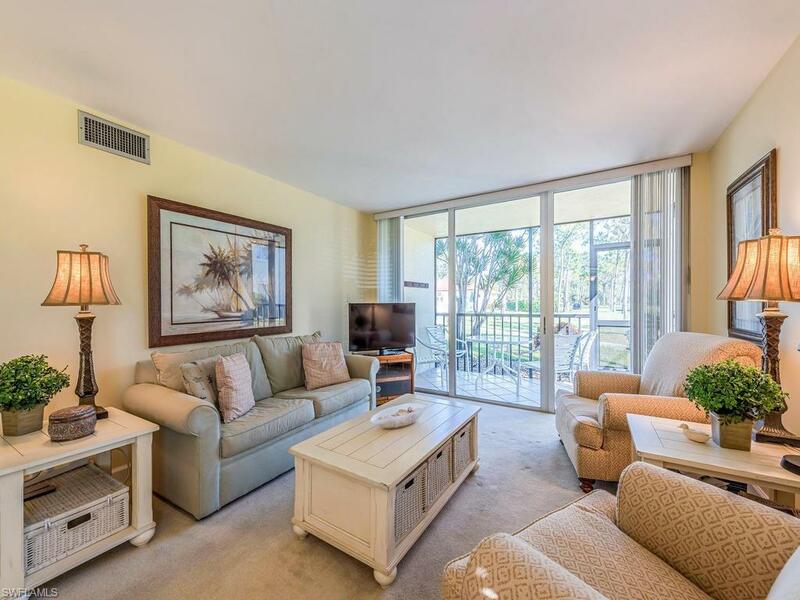 C.15733 - First floor corner condo in Bonita Pines. 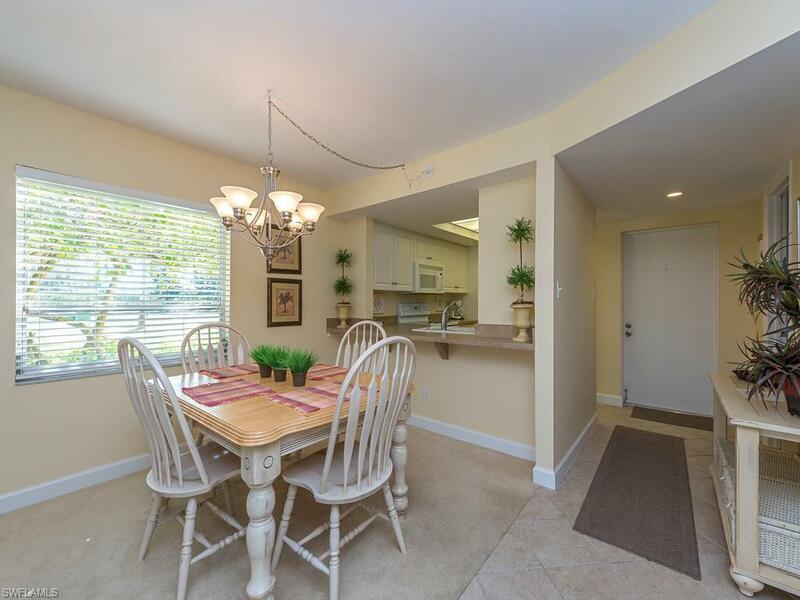 Turnkey furnished with a carport just steps away from the front door. The corner location allows for plenty of natural light inside. 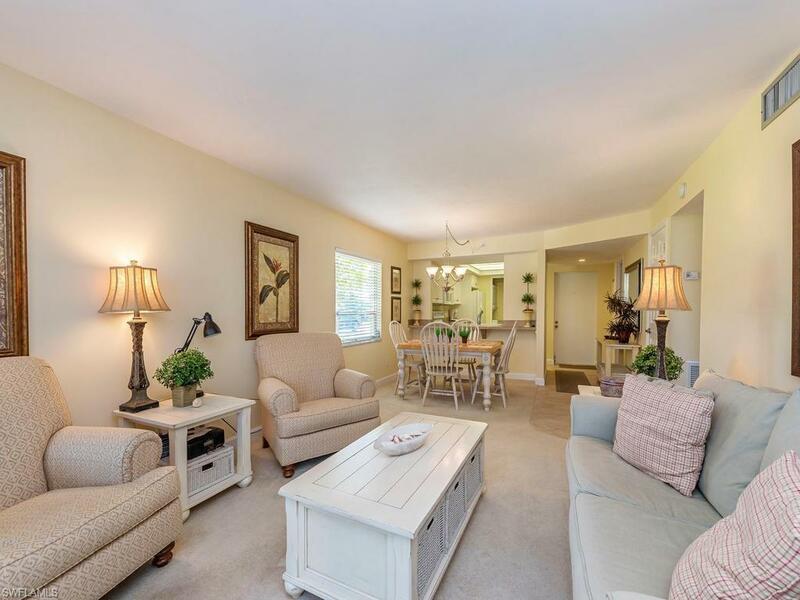 Nicely decorated, includes window treatments - ready to enjoy! From the screened lanai, its a short walk on the sidewalk to the pool area. 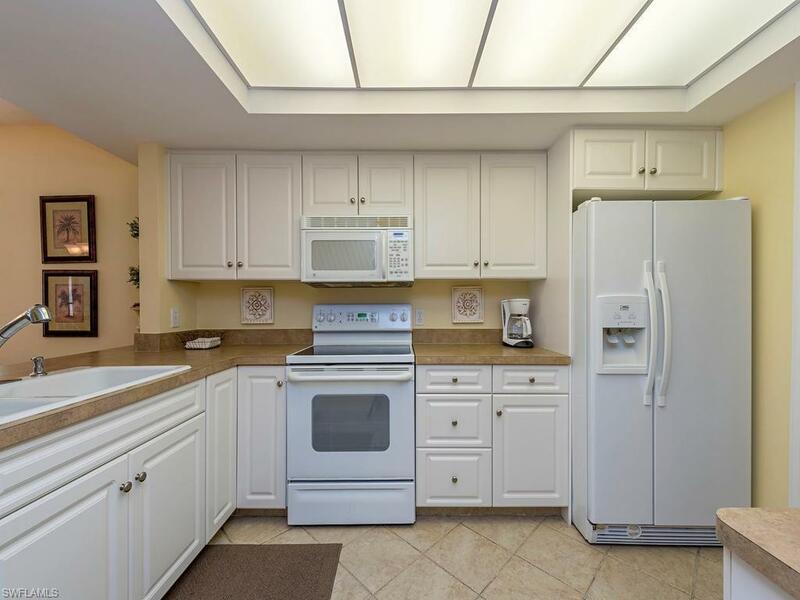 The kitchen is in excellent condition - very well maintained. White kitchen cabinets. Community amenities include tennis, pickleball,pool area, community room. Fantastic location - easily accessible from Imperial Parkway.